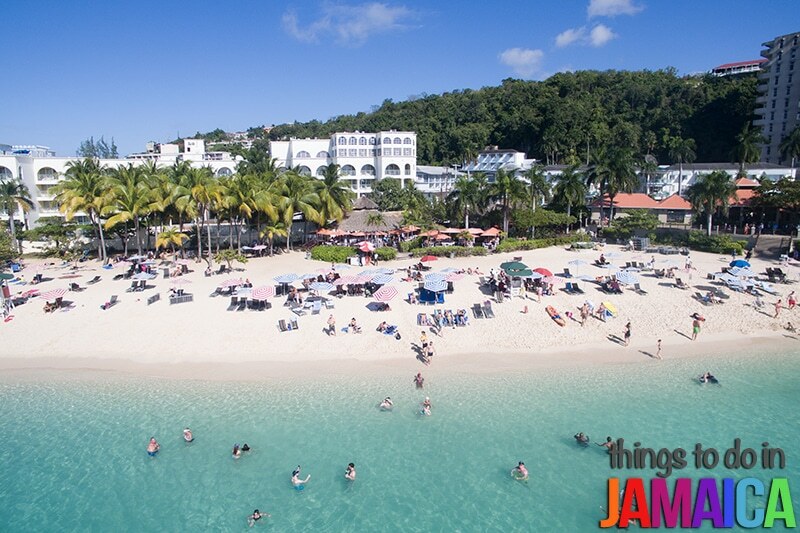 Narrowing down the best beaches in Jamaica is an extremely difficult task. With over 55 beaches that are perfect in their own way, it's difficult to narrow down a top 5 list. 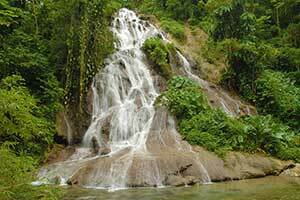 But below, I'll share my favorites from different parts of Jamaica. This way if you're visiting, it's likely that you'll be staying close enough to one of the beaches on this list. And hopefully, if you've been to a beach that is not on this list, you'll mention it in the comments section at the end of this post. If I had to choose one, this would be it. But to be fair, I'm biased because my family owns a house in the area. So I've been coming here since I was a baby. Now that I have little ones of my own, this is still our favorite beach. We come here at least once per month. The water is extremely gentle and shallow for a good way out so the kids can run in and out without being knocked over by a wave. And the sand is powdery soft white sand. I've personally never felt sand that is softer. Crowds? There's rarely anyone here. There are no hotels in the area so only a few savvy tourists come here, and the locals tend to hang out over by the fisherman's beach which is just as nice, but more crowded. We usually have this place all to ourselves. The only downfall is that there is no restaurant or bar on the beach at the moment. 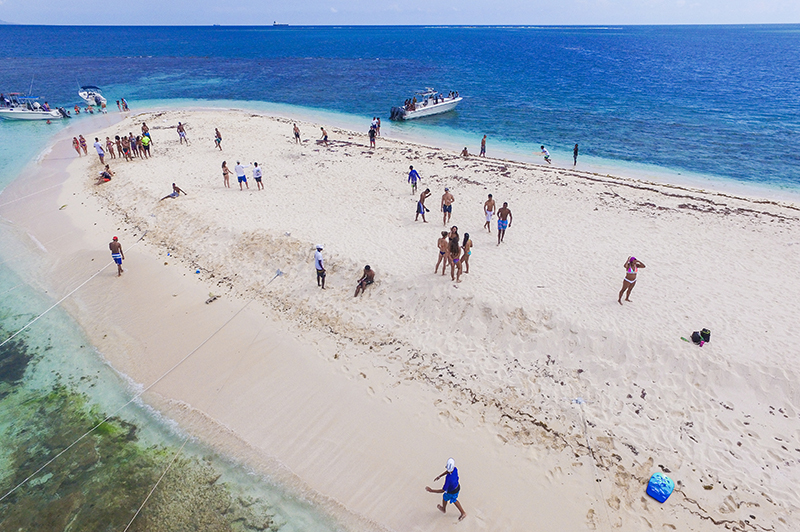 If you need lunch, you'll have to take a walk along the beach to the fisherman's beach. There you can get freshly caught seafood cooked however you like it. Also, there's no beach chairs or umbrellas for rent so if you need that stuff, you'll have to bring your own. But there's some construction going on at Puerto Seco Beach so I'm pretty sure that by the end of 2017, maybe early 2018, there will be a restaurant and bar. Here's a video I did a few years ago. It's not directly on Puerto Seco beach but it's right next door so a lot of the shots include Puerto Seco. 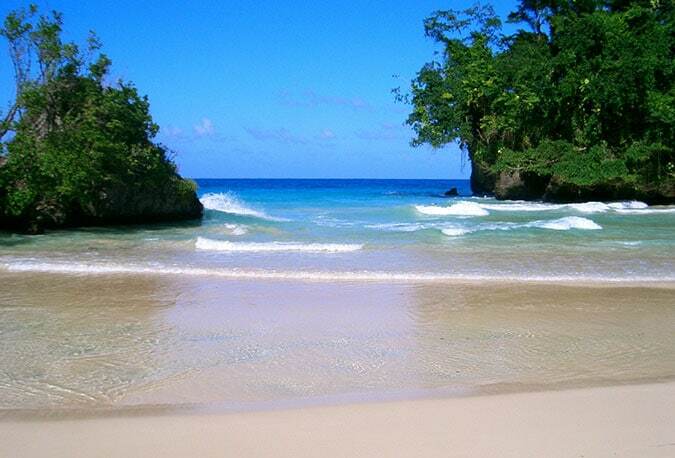 Doctor's Cave beach is another favorite of mine and definitely one of the best beaches in Jamaica. 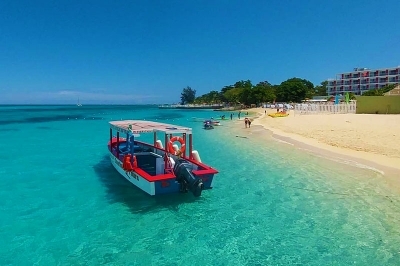 The water and sand here are pristine and the bathroom and facilities are the cleanest you'll find on any beach in Jamaica. This is the beach I go to when I'm in Montego Bay and want to hang out with some friends and have a few drinks. There's always music playing and lots of people around. It's a much livelier vibe than at Puerto Seco. It feels like there's always a party going on. On days that a cruise ship comes in, it gets a little too live! Tourists come in droves so if you're looking for a relaxing day at the beach, it won't happen here. But if you're looking for a party vibe where you can meet some new people and share a few laughs, this is the place. The food at the restaurant on property is excellent. I always have the fish burger which is top notch, but I've heard great things about their jerk chicken being just right! There are umbrellas and comfortable lounge chairs available here so you just need to show up with some cash and a towel. If you like snorkeling and you're a strong swimmer, bring some snorkel gear. There's a reef not too far out that you can enjoy. 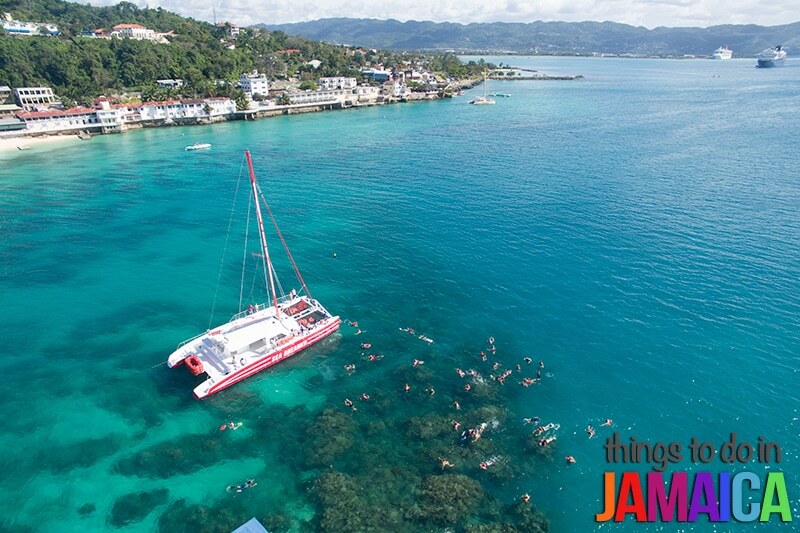 For other really nice beaches in Montego Bay, see our post on the best beaches in Montego Bay. 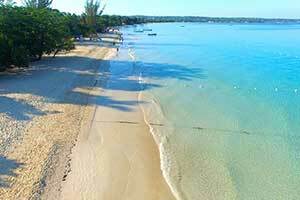 There's no way I could be writing about the best beaches in Jamaica and not mention Negril's 7 Mile Beach. 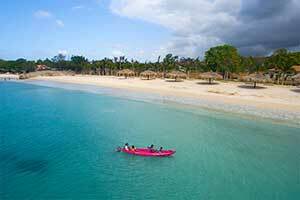 This beach is one of Jamaica's treasures and has just about everything you could want out of a beach. There's an endless amount of options if you need food. From pizza to steaks to freshly caught seafood. Whatever you feel for, you can find it. Bars? 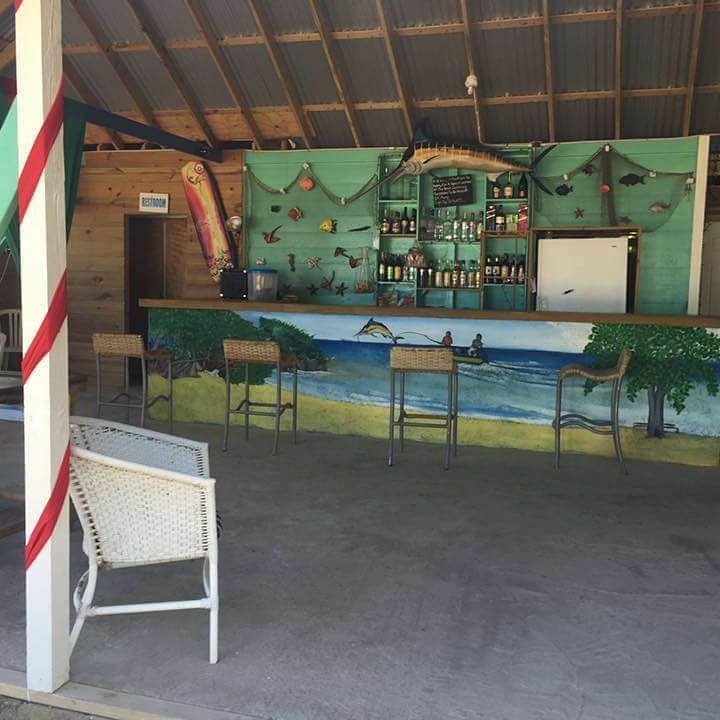 I'd challenge anyone to tell me about another beach in Jamaica with more bars. Whatever you're looking for in a beach, you'll find it here. Did I mention the warm, crystal clear turquoise blue water? And the silky soft sand that your feet will sink into with every step? You won't find any sharp stones mixed into this sand. And also, the sunsets here are world renowned. This is the westernmost part of the island. 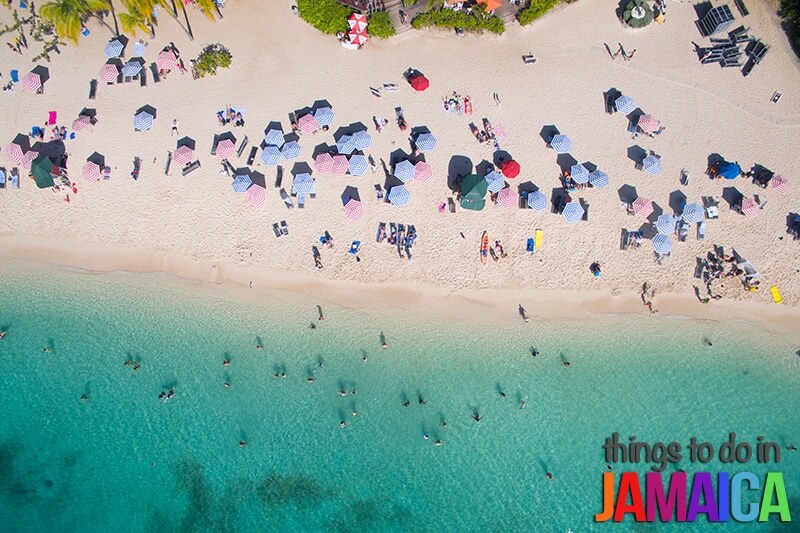 This beach is definitely one of the best beaches you'll find in Jamaica. The only problem I can imagine you having is choosing which part of the beach you'll want to settle in for the day. It is 7 miles long with lots of different spots to choose from all with their own little vibe. And it's not a private beach so you can expect to see a local trying to sell you some handmade jewelry or some Jamaican ganja (I've heard the best comes from Negril). But if you're not interested, a simple no usually sends them on their way. Here's a short video clip I did. 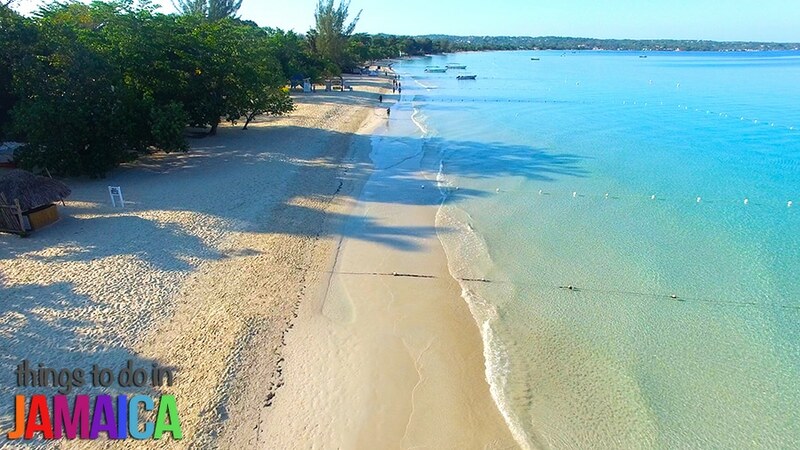 If you want to know specific parts of the beautiful 7 mile beach that I like to hang out at, see our post on the best beaches in Negril. 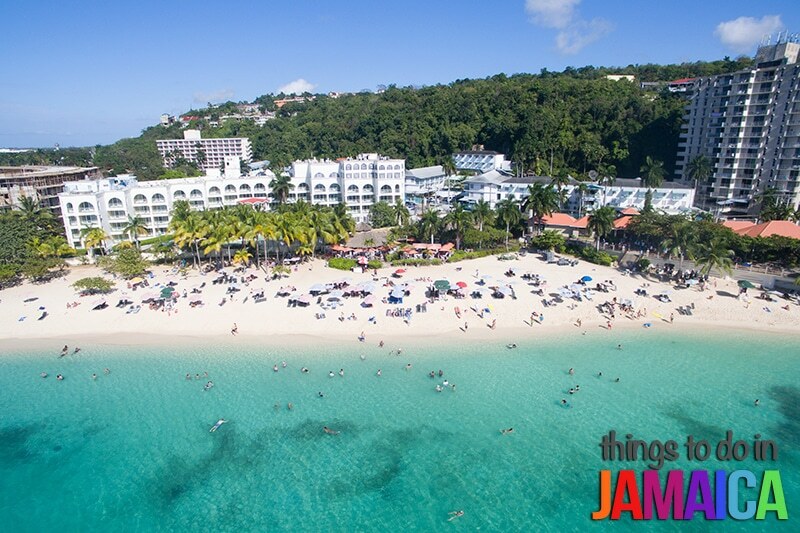 You won't hear many people talking about Pleasure Cove beach in Ocho Rios because not many people know it exists. 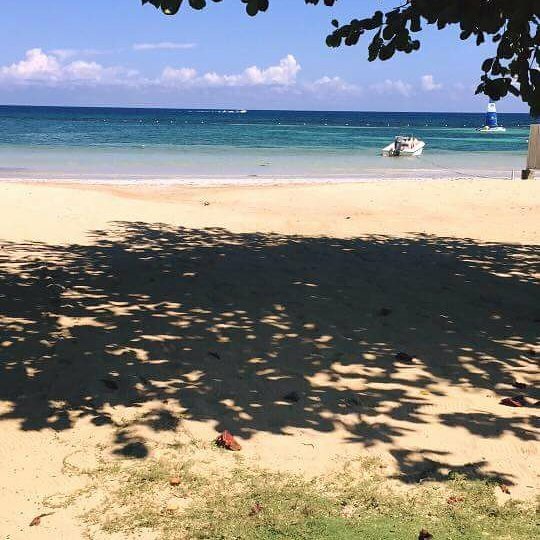 This is the most hidden beach I've come across in Jamaica. To the left of the beach, is a big cliff/rock. There's no access coming from that side. And to the right of the beach is Couples San Souci hotel, which uses the adjoining beach that is just as beautiful. 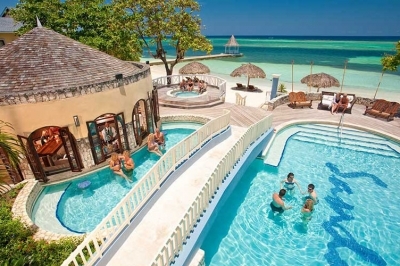 To get inside Pleasure Cove beach, you have to use the service entrance for Couples San Souci. Once you go up to the security gate for the service entrance, tell them you're going to the Pleasure Cove beach, and they'll let you through. 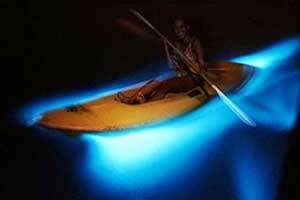 This is the secret that keeps this beach so hidden. There's no way for you to know there's a public beach there from the road. The assumption is that everything behind the security is owned by the hotel. But it isn't. Once you're in, follow the road until you get to the sand. There's no entrance fee to enter, and the only other people you'll see there are the few, older locals who are in the know. There's a restaurant and bar there that sells great food and drinks so you won't have to worry about lunch and a bathroom. 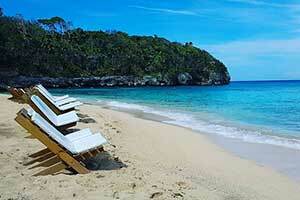 It's a pristine beach with excellent natural white sand. If you go here, come back to this page and leave a comment. I'd love to hear what you thought. 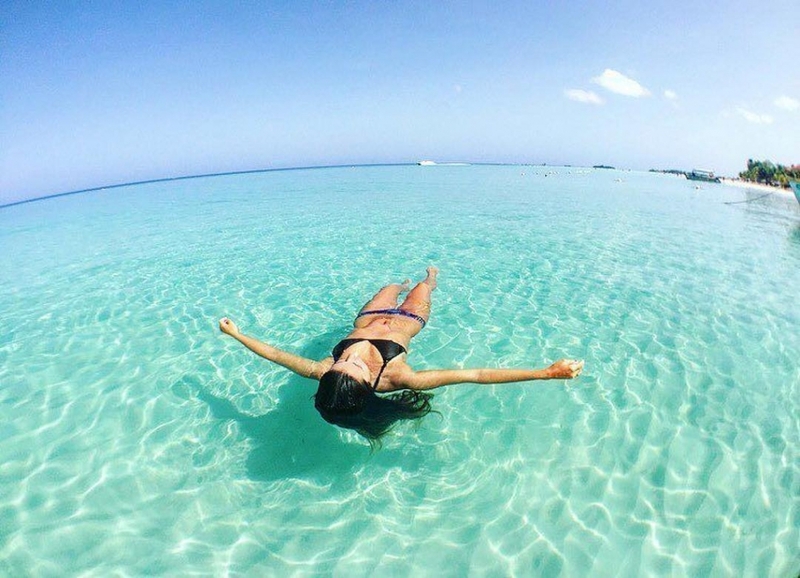 If you want to see other breathtaking beaches in Ocho Rios, see our post on the best beaches in Ocho Rios. Ever seen the movie “Lord Of The Flies”? It was one of my favorite movies as a child and it was filmed right here at Frenchman's Cove. 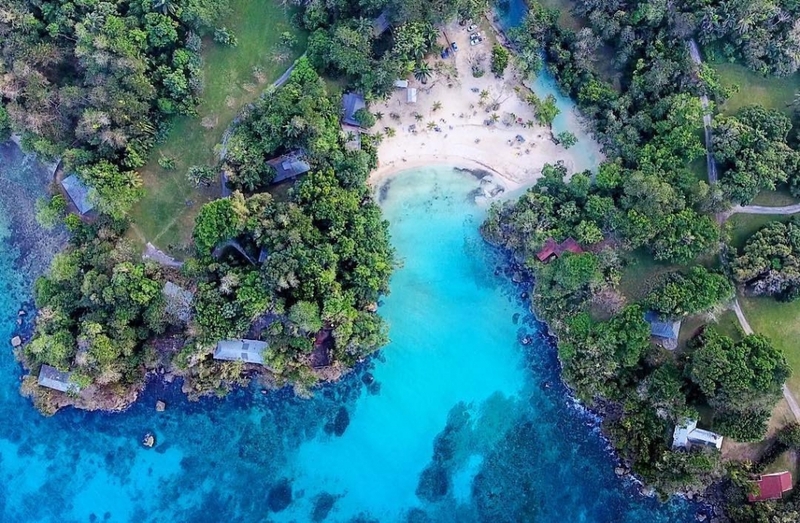 What makes this beach special is that it's a beautiful white sand beach with clear turquoise water, with a river running along one side that runs right into the sea. 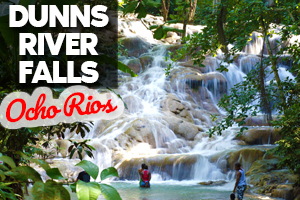 It's a picture-perfect site that is the host for many weddings, honeymoons, and retreats. 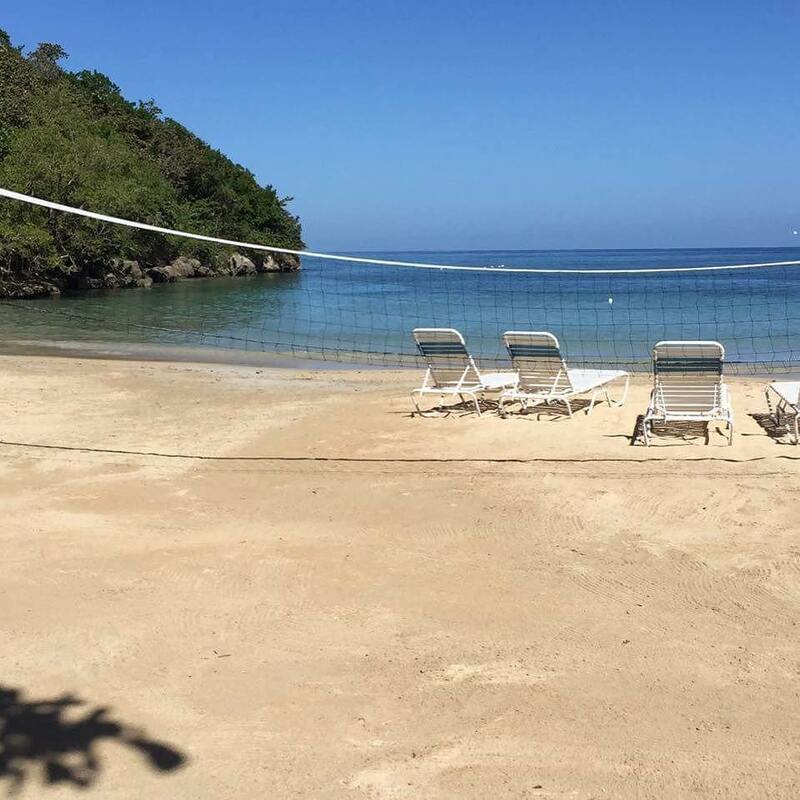 The beach is actually part of the 45-acre Frenchman's Cove Resort which was an exclusive hideout for the rich and famous in the 1950s. 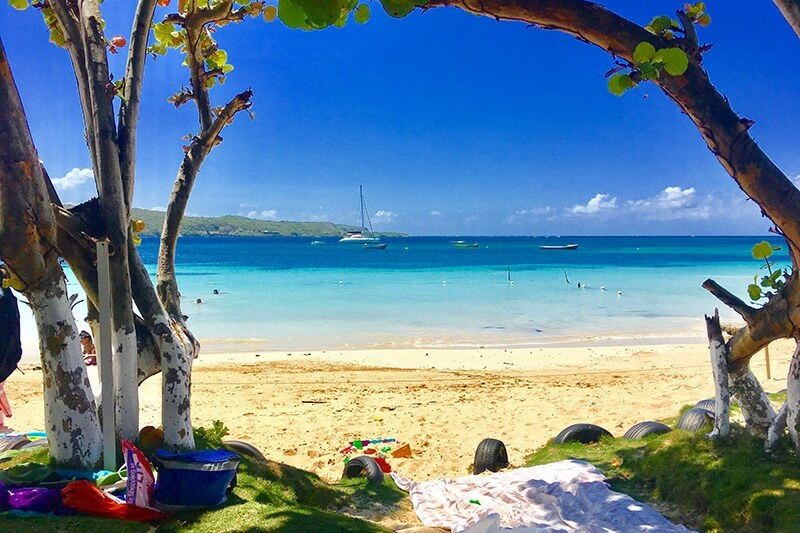 If you decide to spend the day here, order the grilled lobster or chicken and the waiter will deliver it right to your lounge chair on the beach. And if you stay late enough for dinner, be sure to make a reservation at the restaurant. Dinner is usually accompanied by a live Jamaican band playing reggae music. Be forewarned, because of the river running into the beach, the water gets very cold. But once you get your whole body in, it'll be nice and refreshing. 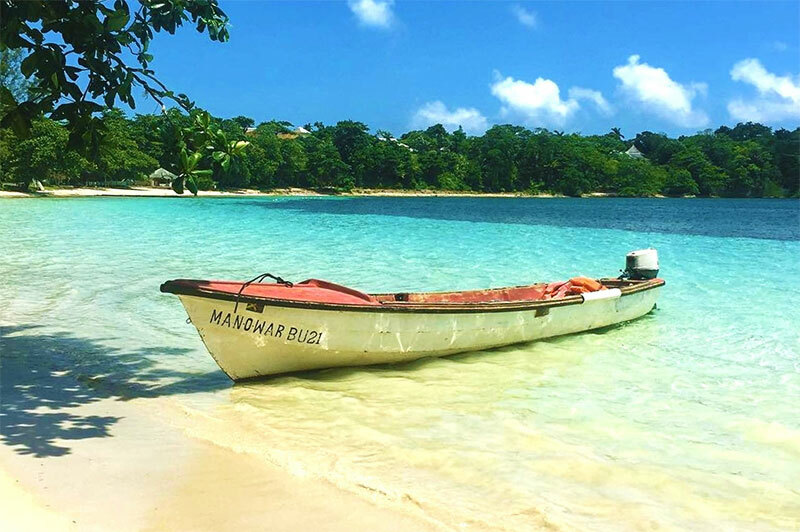 Like I mentioned earlier in the post, it's difficult to pick the best beaches from a country that is filled with excellent beaches that are perfect in their own way. 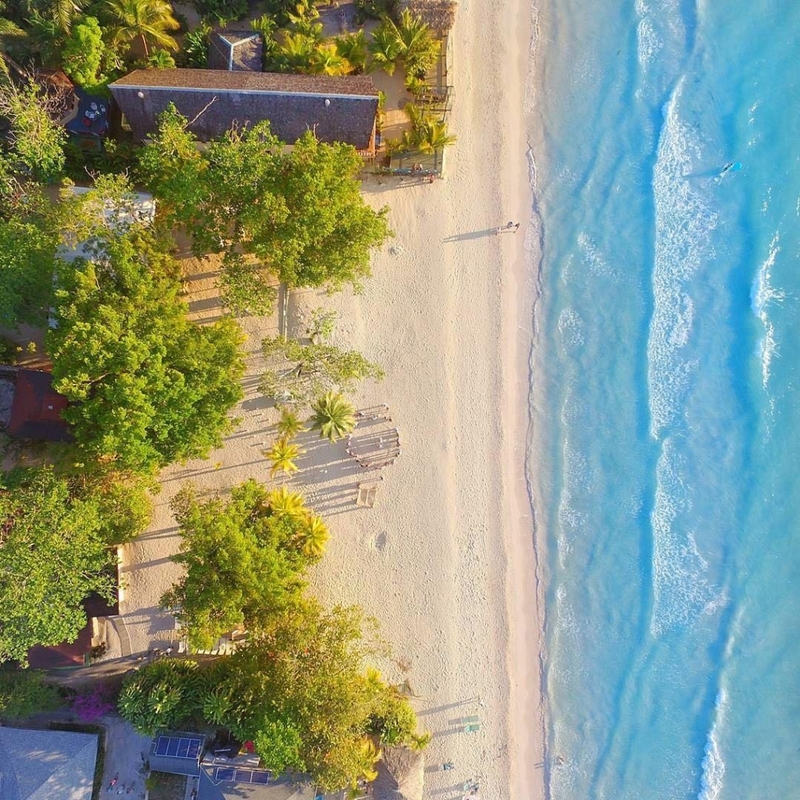 So if you've been to a beach that you think should've definitely made this list, leave it in the comments section below. We'd love to hear from you.